1. Poor Follow-Up The number one reason that small businesses fail is due to poor follow-up. How many times have you reached out to a business owner or maybe left a message,but never received a follow-up call? This has happened to me more than once and for that reason, I chose not to do business with those particular companies. 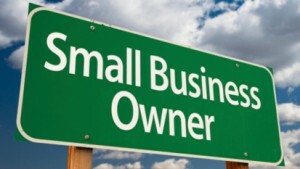 This is a simple, but common mistake that cost many business owners valuable clientele. It is very important to follow-up with some for of communication. 2. Poor Customer Service Customer service can make or break a business. The phrase “The customer is always right” was created for a reason. Customer service is what drives businesses. If a person is pleased they are going to tell someone. If they are displeased, they are going to tell “EVERYONE.” Customer service is everyone in the company’s job; therefore, it is everyone’s job to go out of their way to create a positive experience to create repeat customers. 3. Not Following Through The fastest way to lose a client is to tell them that you are going to do something and don’t follow through. Never promise something that you know you can’t deliver or not sure if you can just to get a client. If you tell them that you can do a job, they are going to expect for you to do it. The safest way is to always under promise and over deliver. The customer will appreciate it. Always remember to treat the customer as you would want to be treated. This way you are sure to deliver a great experience!